We know it all. 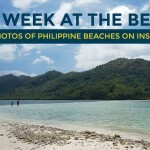 The Philippines, an archipelago of 7107 islands, is blessed with gorgeous white sand beaches. But beyond the ivory coasts and underneath the waves is the colorful, magical, and wildly spectacular world of marine animals. Some of them are marine mammals like whales and dolphins. We may not see them all the time but they are there, swimming and gliding across the blues. If you’re lucky, you may get an opportunity to see and watch them. 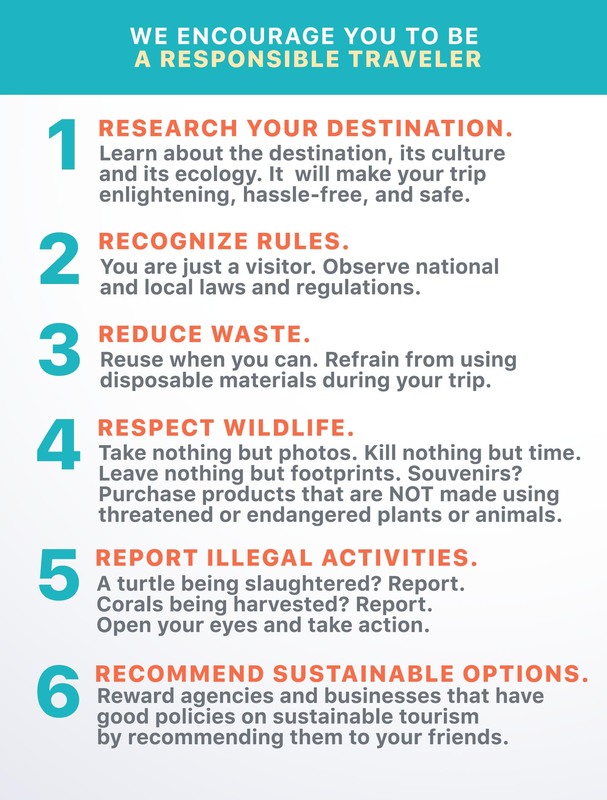 Forget about visiting one of those dolphin shows or man-made marine parks. Nothing beats seeing them in the wild, where they can move freely and rule their domains naturally. From the Babuyan Channel in Cagayan up north to the heart of the Coral Triangle in Mindanao, here are some of the best island destinations for marine mammal encounters. Chances of spotting a blue whale may be very slim, but there are other whales and dolphins in the area. Keep your eyes open for: Risso’s dolphins, bottlenose dolphins, spinner dolphins, spotted dolphins, melon-headed whales, dwarf sperm whales, short-finned pilot whales, Bryde’s whales, blue whales. How to get to Pamilacan Island: Fly to Tagbilaran, Bohol. From here, take a jeepney or bus to Baclayon. At Baclayon wharf, hop onto a pump boat bound for Pamilacan Island. Pamilacan Island is 30-45 minutes away from here. 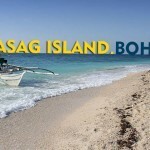 How to get to Balicasag Island: From Tagbilaran airport, you may take a trike to Alona Beach. From here, you may charter a boat offering trips to Balicasag. Jump off points: Bais City and Manjuyod, Negros Oriental, and Malabuyoc, Cebu. Tañon Strait connects Visayan Sea and Bohol Sea, and separates the islands of Cebu and Negros. Sitting along the narrow but rich body of water are Bais City and Manjuyod in Negros Oriental to its west, and Malabuyoc in southwest part of Cebu. How to get there: Fly to Dumaguete City. From here, public buses and vans to Bais are available. Travel time is less than 45 minutes. How to get there: Fly to Cebu and take a cab to the South Terminal. Board a bus bound for Malabuyoc or Bato via Barili. In April 2010, a group of marine biologists from the Tropical Marine Research for Conservation discovered that off the coast of Bago City and Pulupandan, Negros Occidental, there is significant population of the Irrawaddy dolphin (Orcaella brevirostris), a very rare species of dolphins. It is classified by the IUCN as vulnerable. 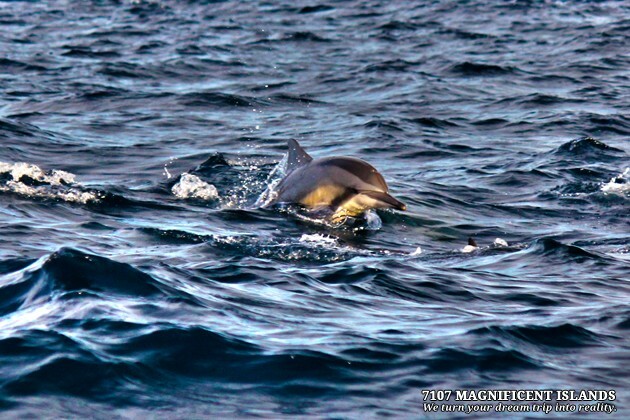 It is said that these dolphins can also be found in Guimaras Strait and Iloilo Strait, which separate the islands of Panay, Negros, and Guimaras. How to get there: Bago City is 21km south of Bacolod. The Bacolod-Silay airport is the main gateway if flying. From the city center, you may take a Ceres southbound bus and just tell the driver to drop you off in Bago City. Contact: Bago City Tourism Office at +63 34 461-0540. 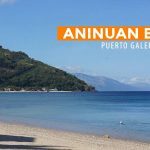 Babuyan Channel, north of Cagayan Province, is dotted with five major islands — Babuyan, Calayan, Dalupiri, Fuga, and Camiguin — and smaller islets. South of the channel is the municipality of Sta. Ana on the northeastern tip of Luzon. But aside from the white sand that fill the nooks of Cagayan, it also a favorite place for many species of dolphins and whales. Humpback whales are said to pass by the area on their way to Indian Ocean from the Pacific Ocean from February to April, but some of the dolphins are said to be there all year round. Neighboring Pasaleng Bay off the coast of Pagudpud, Ilocos Norte has also seen humpback and sperm whales in recent years! Keep your eyes open for: bottlenose dolphins, spinner dolphins, rough-toothed dolphins, spotted dolphins, melon-headed whales, dwarf sperm whales, shortfinned pilot whales, humpback whales. How to get there: From their Sampaloc Terminal in Manila, ride a Florida Bus to Sta. Ana, Cagayan. Alternatively, you may fly to Tuguegarao City and take a bus or van to Sta. Ana. Sarangani Bay faces Celebes Sea, which borders the Philippines to the north and Indonesia to the south. Whale and dolphin watching as a tourist attraction started only in 2010 so it is not as popular as those in Bohol and Negros Oriental. General Santos City is the urban hub in the region. How to get there: Most major airlines fly to General Santos City from Manila. The Verde Island Passage links Tayabas Bay and the West Philippine Sea. It is one of the busiest sea lanes in the country but in spite of this, it remains lush in marine life. In 2007, a study by the Smithsonian Institute described it as the “center of the center” of the world’s marine biodiversity citing the high concentration of marine species. 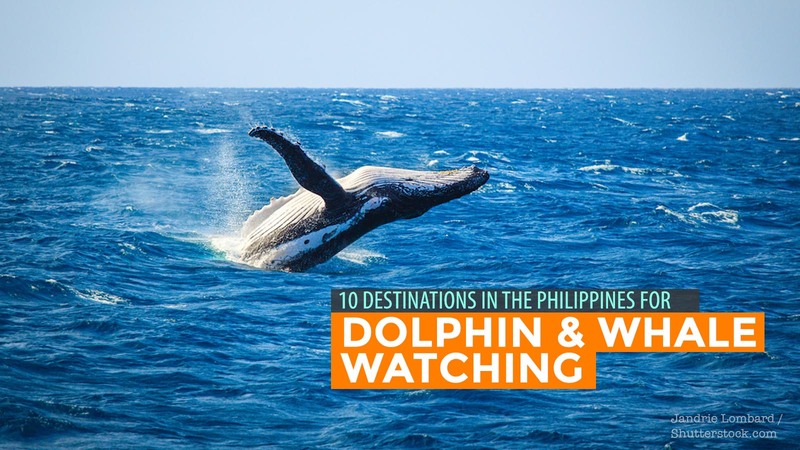 The best places to see marine mammals here are the Lubang Islands and Batangas Bay, but most dolphin and whale watching tours are offered in Puerto Galera. Keep your eyes open for: spotted dolphins, spinner dolphins, bottlenose dolphins, shortfinned pilot whales, dwarf sperm whales. How to get there: From Manila, take the bus going to Batangas City. From Batangas port, travel by ferry to Puerto Galera. Tours are available here. You may also talk to a boatman for a private tour. Contact: Puerto Galera Tourism Office at +63 +43 287-3051. The Subterranean River isn’t the only place worth visiting in Puerto Princesa. The surrounding waters (Puerto Princesa Bay and Honda Bay) nurture a number of species of marine mammals. Keep your eyes open for: short-finned pilot whales, Bryde’s whales, spinner dolphins, bottlenose dolphins, spotted dolphins, Risso’s dolphins. How to get there: From Manila, fly to Puerto Princesa City. The baywalk, where many boats can be hired, is just a short trike ride away. Located at the northwestern part of Palawan, the Malampaya Sound and Seascape Protected Area spans an area of over 200,000 hectares. According to the Department of Environment and Natural Resources (DENR), there are two identified species of dolphins in Malampaya Sound: the Irrawady dolphin (in the Inner sound) and the Bottle-nosed (in the Outer sound). “A third species of dolphin, Risso’s Dolphin, have also been observed at Minapla Bay,” DENR adds. Keep your eyes open for: bottle-nosed dolphins, Irrawady dolphins, Risso’s dolphins. 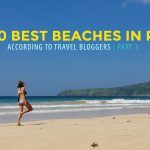 The town of Mati is a rising beach destination in Davao Oriental. But its treasures can be found not just above the surface. Its rich waters have been home to some large marine vertebrates including sea turtles, dugongs, whale sharks, and — wait for it — dolphins. LAMAVE researchers have already began tracking the dolphin population in the area. Keep your eyes open for: spinner dolphins, spotted dolphins. How to get there: From Manila, fly to Davao City. At the Ecoland Terminal, board a bus bound for Mati. Isabela remains off the radar of most tourists, but it doesn’t mean the province has not much to offer. Truly an underrated destination, Isabela is endowed with rich natural resources, most of them untouched. Divilacan, one of the coastal municipalities, is a secret favorite place for dolphins and humpback whales! Tourism is not as expansive or as organized as those in other more popular destinations. 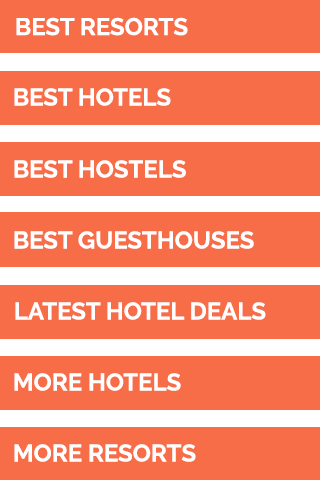 Want to add to this list? Let us know in the comments section so we could add them or make a part 2 of this list! You may also report a sighting or stranding of whales and dolphins to Balyena.org or LAMAVE. This would help them in their research to better understand marine mammals in the Philippines. Also, please read and memorize these whale watching guidelines by heart to minimize impact and reduce the risk of disturbance. Be Whale Wise! Special thanks to Harry Balais of Legendharry.com for the photos and recommendations; and Nix Nicolas of Save Philippine Seas and AA Yaptinchay of Marine Wildlife Fund of the Philippines for the ideas. Updated October 10, 2013. Wow! I enjoyed watching it as much as you did! Amazing!,this is the first time i saw that people are documenting this animals..Are you not scared?.Congrats!